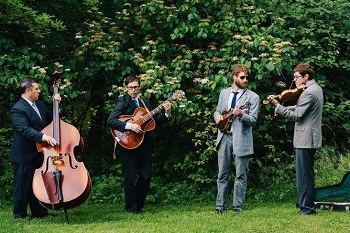 Be prepared for an evening of freewheeling Americana at its very best from the Eastern Shore’s very own rising-star bluegrass band! The High and Wides’ 2018 debut album, “Lifted”, reached #10 on Billboard’s bluegrass chart and was hailed as “quietly revolutionary” by David Bromberg in No Depression magazine. The band draws from its members’ extensive backgrounds in bluegrass to take the music to a place of their own, while drawing from the pre-bluegrass era when the seeds of bluegrass, country, rock’n’roll, and western swing blended freely under the header “hillbilly music”. The Avalon Theatre is currently renovating its restroom facilities to improve accessibility and capacity. There will be no ADA accessible restrooms for this event. We apologize for the inconvenience.